Mother Agnes of Homs is currently concluding her speaking tour of North America – doing her best to persuade audiences across the USA that there are realistic alternatives to endless violence in Syria. I reported earlier on the controversy she has stirred up and the battery of crazy accusations that have been levelled at her. Now, thanks to Sharmine Narwani, Mother Agnes has been able to respond to the charges laid against her in her own words. This is a long and detailed read but it is worth reading to the end! Question from Twitter user @broodmywarcraft: what does she have to say to those who call her a stooge for Assad? Question from Twitter user @bangpound: Does she still think the children were faking it in Ghouta? Question from Twitter user @Nouraltabbaa: If she is trying to perform a Mussalaha why is she meeting with Ali Kayyali and other militias but not the opposition fighters? Question from Twitter user @HRIMark: What effect is the campaign of defamation and threats against her having on her and her work? Question from Twitter user @Net_News_Global: Ask her, if she thinks, that there was, besides murderous propaganda, a real CW attack. Question from Twitter user @tob_la: How would she describe her relationship with Syrian intelligence services? Question from Twitter user @MortenHj: What does she view as the biggest problem facing the refugees, especially children, with the approaching winter. How can anyone support? 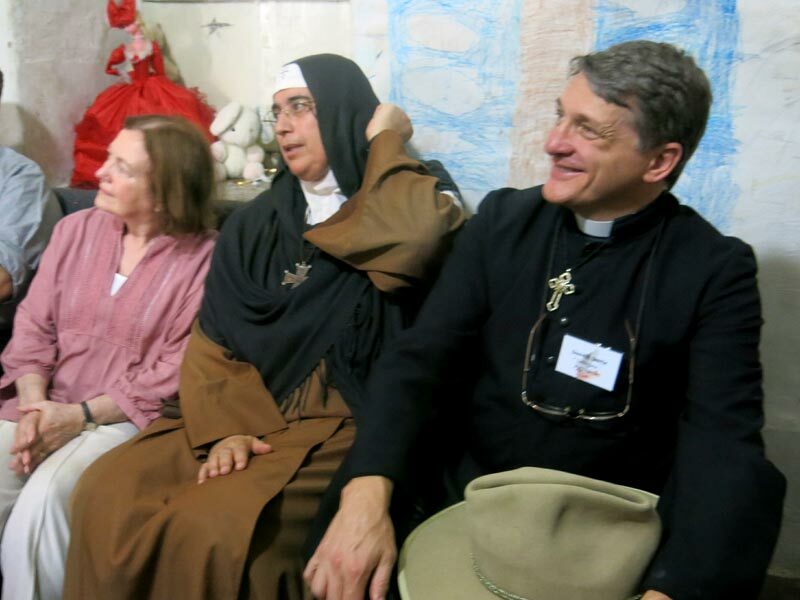 Question by Twitter user @edwardedark: Could you please ask her why the Vatican has not been more outspoken on the plight of Christians in Syria? Now the Vatican is talking. Mgr. Mamberti is saying loudly and clearly that The Holy See cares about unity, sovereignty, and the place of the minorities so they will not be isolated, cornered, or forgotten. The Holy Sea is promoting reconciliation, dialogue and a peaceful settlement of the crisis. They are against the arming of any side. They want more creativity for peace and not creativity for war. What I found outstanding about the Monsignor’s recent comments is that he said the Syrian people should isolate the foreigners, distance themselves and denounce them. This is a very clear statement against foreign intervention. Then he opened the issue of humanitarian aid and the dialogue between religions – interfaith dialogue. This is not the task of experts, but the task of everybody, the believers. So there is a real change in language from the Vatican. The Holy See is no longer shy about Syria – and to tell you the truth, it is time. What is left for the Christians in Syria otherwise? This entry was posted in Article, syrian civil war and tagged CW, Mother Agnes, mother agnes mariam, syria, US. Bookmark the permalink. I’m a retired American, ex-US Air Force, lviing in the south of France near Narbonne. Every day from the nearby French Air Force installation, the jets are practicing low level assaults. They fly over my house at near supersonic speed no higher than 5,000 feet. It can only be for Iran – who is threatening the French? Israel has opened the gate, now is the time……..